From 3 megapixels to 10 megapixels to 50 megapixels, the world of photography has changed significantly over the last 10 years. With the changes in technology, we're always in battle to keep our work and data on the most current iteration. With the rumors of the next Apple MacBook Air, it seems that the USB port is under attack, making photographers everywhere questions how they can keep their work on the most recent format. I remember back a few years ago when the first laptop was introduced without a CD optical drive. I was in a panic, because literally all of my work was put onto a DVD, and delivered to my client through the mail or in person. What happens when I get my enviable client that doesn't have a CD drive on their computer? What hoops will I need to jump through when that time comes? In my panic, I changed my business format to accommodate for the future. I bought branded USB drives. At the time, I thought this was the solution. Everything runs on USB these days, and with the current pricing of thumbdrives, it's nearly as affordable as blank CDs or DVDs, and far easier to work with as well. While this meant that I'd have dozens of CD cases in a closet, gathering dust and never to be used again, it also prevented me for getting the inevitable call from a client years ago, asking if there was a way I could resend them the files in a new delivery format. All of this news comes out of Apple introducing a new USB standard for the 2015 iteration of the MacBook Air. 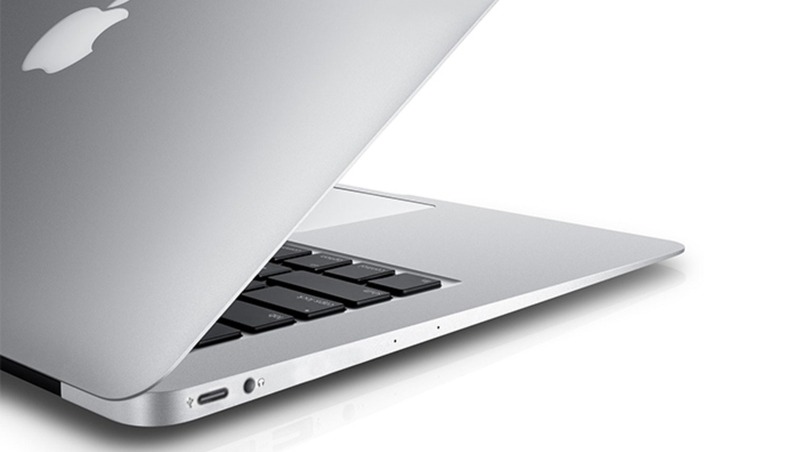 The MacBook Air exchanges convenience and versatility for size and form, and is looking to change the computer industry to a new standard, called USB 3 Type-C. This is not a new plug designed by Apple, but is hoping to become the new standard for computers going forward. The perks on the new format are simple - for one, it's reversible, solving the problem we've all faced, that despite logic, it somehow always takes three 180 degree rotations before the standard USB cable will fit into the input. Perhaps the biggest benefit of it comes in the bi-directional power, allowing you to charge peripheral devices, as well as the host device. Pairing that with its power output up to 100W (20V), it should also allow you to charge laptops (which are typically around 60W), allowing for a universal power cable for future laptop designs. 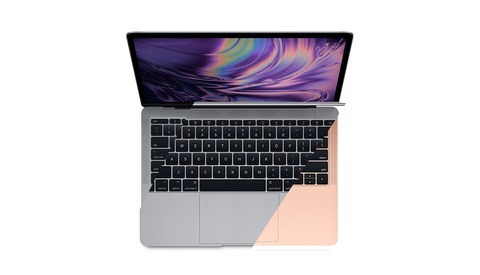 Alongside it being reversible and versatile, it's smaller, which is a necessity when it comes to MacBook Airs and their PC ultrabook counterparts. Everything seems great, right? However, the stark downside to this new design change comes in it not being backwards compatible. Prior iterations allowed for backwards capability. With the original USB plug design dating back to the mid 90s, everything would work with the new designs. The new designed of USB 3.0 (and USB 2.0 in the early 2000s) changed only speed of the devices, while maintaining the same shape and form, allowing for all plugs to work with the faster speeds. The new design means one of two things, we're going to need adapters, or we're going to need to buy the new devices altogether to keep up. Adapters are a simple solution for any hard drives or other systems devices you may use, but what about your clients? If you're delivering your work on a USB thumbdrive, we're only a few years removed from that plug design being obsolete. While it's not terribly important right now, it's something to certainly think about down the line. Clients who've gotten wedding photos from you on a thumbdrive, may not be able to see their beautiful photos in five or ten years, or at least not without scouring the Chinese adapter markets on Amazon. And while Apple is an early adopter of this technology, it's important to remember it is likely the future standard for all computers to come. 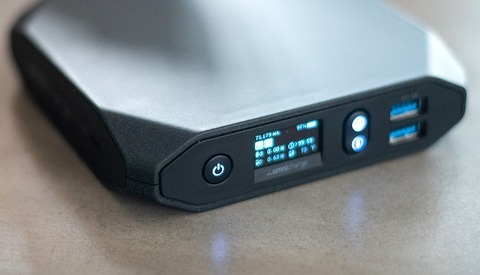 The design itself is actually USB 3.1, with a standard of 10Gps - twice the speed of the current USB 3.0. And Apple isn't the only company grabbing on to the new tech. Gaming laptop manufacturer MSI has also shown its interest in the Type-C port, applying it to their latest gaming laptop systems announced at CES this year. For USB thumbdrives atleast, my solution occurred a year or so ago, and I adapted to using gallery services to deliver photos to my clients. My personal preference is Pixieset, but there are dozens of gallery systems available for people, with each of them racing to acquire the photographers abandoning their USB thumbdrives, and those who still used CD/DVDs. But one must ask, will that be a solution for the future? For one, gallery systems take a lot of personality out of the process. No longer am I meeting with clients at coffee shops, to give them their branded CD, or their elegantly boxed USB drive containing their photos. My delivery experience has been exchanged for a somewhat impersonal email of their images being ready, but with the ability to share all the photos to friends and family with ease. So while the solution fixes some past problems, it comes with a treasure trove of new ones as well. The other likely alternative is resistance. 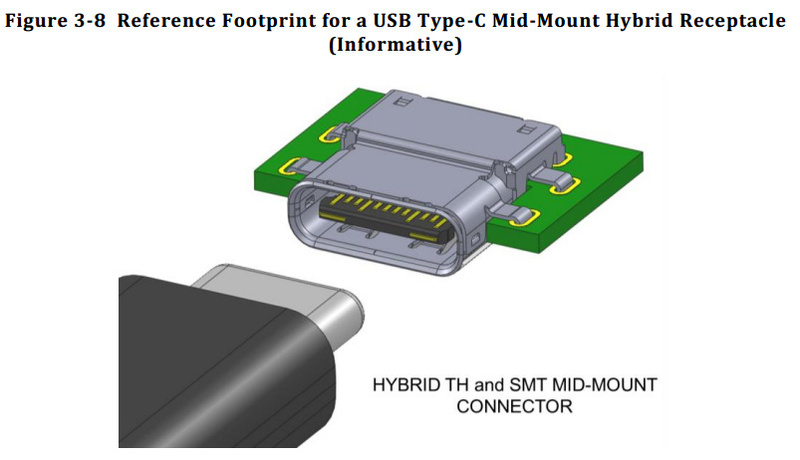 USB 3.1 is capable of sharing the same port design of past and present USB systems, and would allow for a slower transition into the new design. By maintaining the old design of ports on computers, and pushing the new design on the backsides of peripherals first, the transition into the new tech would be a bit more organic, all while incorporating its benefits. But who knows, maybe this new USB design won't take off. Apple's once innovative Thunderbolt system is all but dead by the hands of USB 3.0, and the new design standard proposed by Apple has already been met with plenty of opposition. That said, one value that has come from it is that it's got us thinking. How are we going to make sure our work stays around for longer than a few years? What solutions can we find for problems we're bound to have in the future? Why? This a new USB standard for the entire computing industry. It is not Apple's standard. Don't ask why. Just know that Apple makes some people act irrationally. I'd rather give people the benefit of the doubt that they are not acting irrationality. Sometimes people are simply misinformed. It's so simple, don't like it, don't buy it. If people want to buy it, let them buy it, it doesn't affect you in any way. Hating something you don't have and don't want, is quite irrational. Then this headline "Apple Making a New USB Standard" needs to change. I hate apple too! This is ridiculous! As I said to Tam, why? This a new USB standard for the entire computing industry. It is not Apple's standard. I just dont like Apple :) tis all..heheh! And before you know it they'll change the ADB connector on my keyboard or the SCSI connectors on my external hard drives and scanner!! The new port is definitely impressive. However, the transition over to it will be a massive pain. Zach - Did you just turn 35? I'm not 35, and I'm not resistant to this change, I'm excited for what this port can be. That said, the transition to it is going to be a bit painstaking for many of us, which is what this article is precisely about. I read it. I have been using Macs since 1981 (Apple II+) I have been thru all of the port changes from multiple display ports (DVI, display port, Thunderbolt, etc) as well as USB, FW400, 800 & Thunderbolt. I just really don't see much of an issue. Adapters will be plentiful, as always. I think what changes this from others is that A. USB is BY FAR the most popular port on a computer, and has been for the last 16 years. And B. Firewire 400/800 were largely backwards compatible with each other, as have all the USB transitions. A new port to replace the standard for all peripherals is going to be met with some hesitations, and some challenges. Lol, no worries. It always sounds better in my head. Well, I do hope you're wrong. I think with such a huge transition, they will be well prepared for it. Just looking at my desk, I have the following USB only compatible products. Wacom, 4 backup drives, iPhone & Droid charger, a drive dock, 4 USB flash drives, printer & a keyboard. Sure, but CD and DVDs were also once standard and we moved on just fine. Of course CDs and DVDs can still be used. In fact, if I were a professional photographer I would also offer the option of MDisc DVDs and Blu-Rays. They offer by far the longest archival life of any storage medium in existence, literally 1000+ years. I think it could be a pain, but like you said in the article, it was a pain to not have a CD/DVD drive on your computer but we adapt and move forward. I think we're in a much better place now without the CD/DVD drives. And I went through the same transition process as you...delivering photos on DVD, then thumbdrives and now I use the Zip file delivery from SmugMug. So easy and quick but I do place a personal call to the client to ask them if they got the email, had trouble downloading the files, etc. Really, I don't think it'll be that bad. With low count of USB ports on laptops, I find I need to carry a USB hub a lot of the time. I'm sure we'll find type c connectors to full size USB hubs on amazon within a few weeks of that computer coming out. Also this isn't purely a mac rumor as there were several type c tech announced at CES. Namely a Nokia phone. Of course it's not purely related to Apple products, even MSI was quick to announce their the first PC to adopt the port. The transition is coming, and hopefully it'll becoming the beautiful multi-purpose plug that it's designed to be (charging, data transfer display port, etc). But the change, if done drastically as Apple intends (rumors are they'll only have a single port, with the optional USB hub available for purchase), it'll make for some troubling transitions for a lot of people. While it's only expected to come to the MBA as of right now, surely the MBPs and MPs are going to be quick to follow. The only concern I have with it is its physical design. Unlike Apple's Lightning port this new USB port shows fragility with that thin insertable area of contact. I can envision that breaking off. Apple's Lightning port, on the other hand, has a solid metal plug with the contacts on both sides of the plug side and the device side. The new USB port is a female/male hybrid on both the plug side and the device side, whereas the Lightning port is fully male on the plug side and fully female on the device side. A much stronger and reliable design. I'm guessing since the Lightning plug came out first Apple would not have approved of the same kind of design. It's a shame because the Apple Lightning port is ridiculously strong and reliable. The only issue I have with it is that the previous 30 pin connector fit softly into the device side, meaning any kind of snagging or tripping over the cable would not send your iPhone, iPod, iPad flying across the room. The Lightning plug fits rather tightly into the device so now we have iDevices flying across the room. There was a 30 pin connector at one point that had clasp on the inside that would lock into place that resulted in the tossing of my earlier iDevices around the room. That is correct. That was the first version of the 30 pin connector. That securing feature was later removed by Apple resulting in the 30 pin connector I described. It is because of Apple doing such a logical thing that makes me wonder what their reasoning was in making the new Lightning plug so secure that we are back to the case of iDevices being tossed about once again. Iin every other way the Lightning connector is great though. Really strong. First of all, this is all pure speculation. 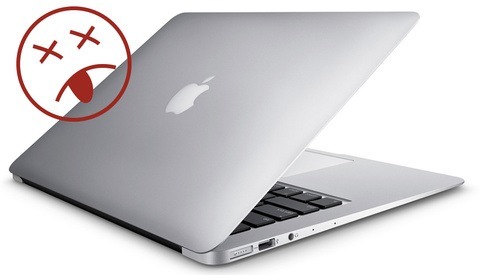 No Apple laptop with USB 3.1 has been released or even announced. Second, if Apple does release a Macbook with this connector, I'm sure there will be a standard USB 3.1 -> USB 3/2/1 dongle available. Finally, USB itself was a standard in search of companies willing to make use of it back in 1998. Once Apple released the original iMac with only USB connectivity, it cemented USB as the connectivity standard. I'm sure if Apple moved to USB 3.1, it would have a similar effect. Nearly every single Apple related website has made mention of the new port on their 12" MacBook Air...so while Apple hasn't officially announced it yet (which is mentioned in the article), it's all but confirmed. Also, I make mention in the article that it'll be inevitable, which is why I investigate different solutions to this problem. Finally, Apple was pretty adamantly against USB 3 when it was first announced and released, and built their own port, Thunderbolt (also mentioned in the article). Later, they adopted the USB 3.0 system because it had become the standard...but it wasn't met with open arms by any means. Finally....USB was invented by Intel, Microsoft, Compaq and IBM...among others, so saying that it was only adopted after Apple made it their standard is a bit silly. Considering that it was manufactured and produced by PC manufacturers suggests that PC was using USB, and Apple adopted it for it's versatility. "Nearly every single Apple related website has made mention of the new port on their 12" MacBook Air"
That *literally* means nothing. All of the web sites you are referring to simply refer back to the same rumor. Just because something gets endlessly repeated doesn't mean it's true. So no, it is *not* "all but confirmed." It's just the internet echo chamber.